Ben Askren was given the chance to shine last night at UFC 230 and he seized the opportunity with both hands. He may have rocked up casual as can be wearing jeans and sandals last night, but Ben Askren was all business backstage at UFC 230. The undefeated 18-0 welterweight walked into Madison Squade Garden with a swagger and he looked right at home as he took in the action from his cageside seat. 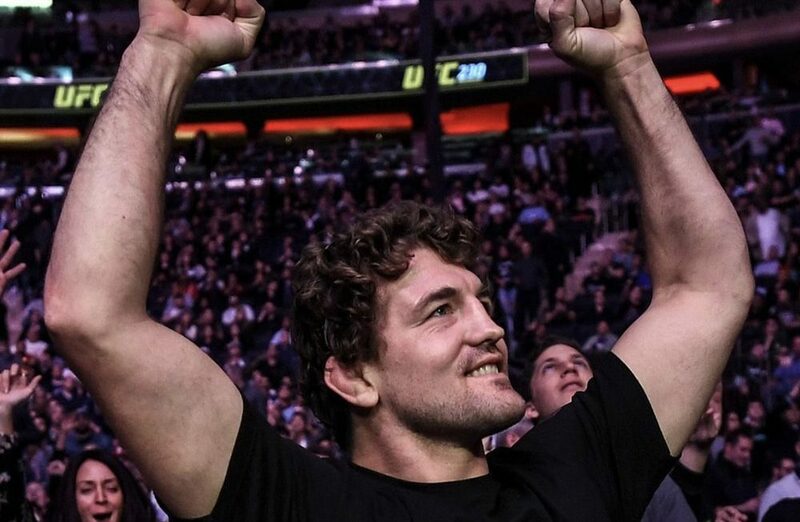 For the first time in his illustrious combat sports career, Askren was given the opportunity to shine on the UFC stage and he didn’t fail to entertain. Askren was given a spot on ESPN, a shoutout on the pay-per-view broadcast, interviews with media partners, and a scrum with reporters backstage, he was a busy man but he appeared to be enjoying every minute of it and deservedly so. The former ONE Championship welterweight title holder held nothing back as he tore strips off many of the biggest names on the UFC roster and no one was safe. Everyone from Georges St-Pierre, Conor McGregor, the Diaz brothers, Darren Till and many more were put to the sword by Askren and he made it perfectly clear that he fancies himself to dominate all of them inside the UFC Octagon. Most interestingly perhaps was the manner in which Askren went about his work. Whilst brash and confident in his proclamation to dominate under the UFC banner, you would struggle to classify anything of what Askren said as trash talk. There were few, if any, curses, there were no racial or political edges to his words, nor did he ever cross the line in a cheap way to garner attention. It was simply a message of “I’m better than you and if we fight I’m going to dominate you,” nothing more and nothing less and he had us all hanging on his every word. It was a very welcome breath of fresh air given some of the nonsense we’ve seen go down over the last few months and long may it continue. With the first quarter now likely for his UFC debut, attention will now switch away from him signing for the promotion and now onto who will he fight? Any number of names could stand across the Octagon from Askren come his debut, but the one name sticking out right now is Till. The Liverpudlian’s next fight is expected to be at UFC London on March 16, but that plan could change given the UFC’s acquisition of Askren and if they were to fight it would almost certainly have to feature on a pay-per-view card. Time will tell where the pieces land for Askren in the coming months, but for the time being, he’s doing all the right things to get people excited for his Octagon debut. 2019 is looking great already and with Askren now I’m the UFC fold, business is most certainly picking up.